Mercenary mage Alex Dering has spent most of her life killing deadly monsters for only peanuts in return—until the world’s most legendary immortal hires her for a prestigious assignment in Europe. In return for hunting down misbehaving supernaturals, he’s going to pay her a boatload of cash. But a straightforward slash and burn extermination in Zurich gets a whole lot more complicated for Alex when a gang of vampires steals one piece of a magical artifact that, once assembled, has the power to kill every supernatural in the city. Well out of her depth, she’s forced into a precarious partnership with a notorious assassin, a man as seductive as he is deadly. With a band of killers hot on their trail, Alex has no choice but to trust him—even if that trust could expose her most guarded secret. 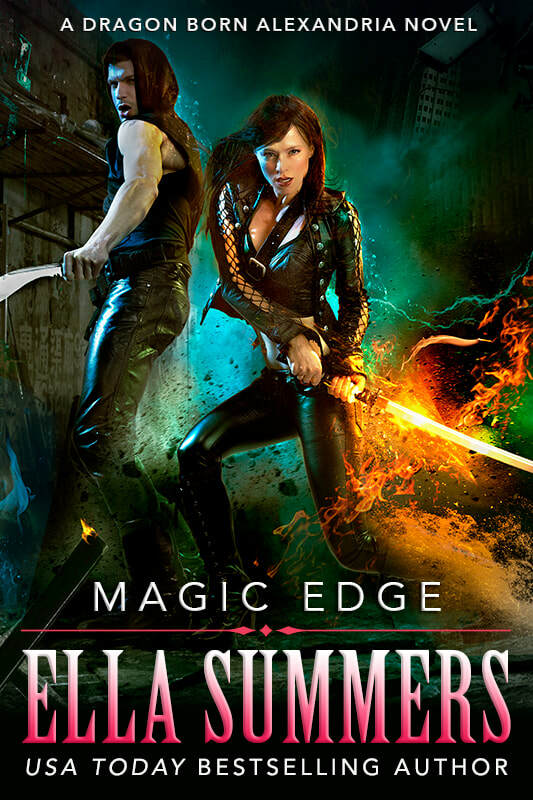 Magic Edge is the first book in the Dragon Born Alexandria urban fantasy series.